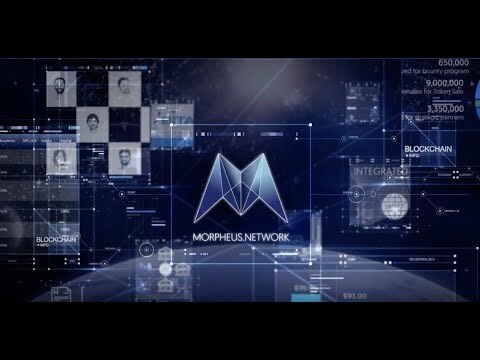 Morpheus Network simplifies and automates the logistics needed for any complex, international shipment for any company or individual. This is achieved by our talented team containing shipping, customs, banking and accounting experts with deep knowledge and extensive experience. The result is a “FULL SERVICE” IMPORT AND EXPORT SYSTEM abiding by all customs laws and regulations globally. Also included is the automated generation of digital, ORIGINAL shipping documentation and contracts for the first time ever which are predetermined and templated. The shipping and logistics industry is ready for disruption. Great vision here. Bill of lading and other shipping documents are very manual and require originals so its an old process, time consuming, and inefficient. I definitely see the value add from using blockchain technology to store, transfer, validate, and transmit shipping data as originals. Token metrics are sound, i like that the roadmap doesn't extend too long. It's on the Ethereum blockchain and an ERC-20 token which is easier to adopt. I like the whitepaper and the overall project. The team is strong. The advisor group is very strong on this project. I'm not sure how involved Jonathan Bootle is, but that is definitely a great name to have on board, along with the other industry experts. I wish you guys all the best on this, really hope it works out!